"One Hour of Kunlun Nei Gung is Equivalent to One hundred Years of Sitting Meditation Practice." "Kunlun Nei Gung is the expression of God discovery from within, simple at its most profound level." Bliss is the basic nature of man. From the very subtle and deliciously delightful state of bliss, one can gain a much clear understanding of the divine ocean of Tao. 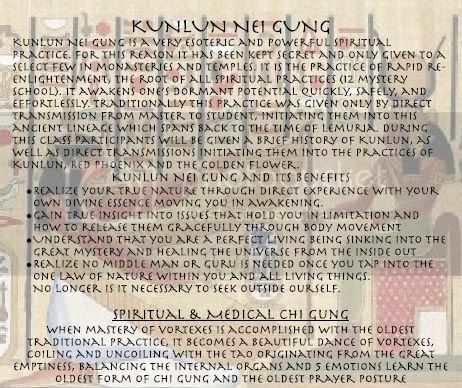 The Alchemy of Bliss, Kunlun Nei Gung are the root practices which can be found hidden in most of the worlds mystery schools. Kunlun Nei Gung are the keys to unlocking our own mystery. Learn for yourself the five levels of joyful, bliss in a time-tested, nearly forgotten practice that leads to self-awakening. Powerful spiritual teachings have been held secret throughout our history. Rare practices and techniques have been kept hidden in monasteries and temples only to benefit a few people in each generation. This was done for many reasons, but the time has come for this knowledge to be shared with those who are interested and dedicated to gaining a deeper understanding of their amazing true nature. It is the ancient internal arts that have been used throughout history to bring us back to our original nature which is in harmony with the divine. For it is only in that state that we feel complete. It is a state of ecstatic bliss and knowing. It is the place our spirit calls home. Kunlun comes from Kunlun Shan, the mountain of the Taoist Immortals in China. It symbolizes the highest peak, the top of the mountain the top of the crown. The practice is what we call an ancient "root" practice with variations in some of the oldest mystery schools. This is what human beings practiced before they seperated into different schools or flowers. This root or truth allows you to discover the essence of who you are. It is what we call the path of no more learning. One hour of the practice equals one hundred years, in one minute a thousand. If you have ever seen the statues of dancing dakinis or wrathful deities, they are demonstrating exposure to some type of root practice similiar to Kunlun. Spontaneous Kunlun gives you 5 levels of ecstatic bliss, purifies and opens the 72,000 nadis or nerves in the body. You may experience spontaneous movement, laughter, crying, heat, tingling sensations, speaking in tongues (higher mind merging with the lower mind), blissful sensations, back arched with head thown back, spontaneous yoga asanas, dance of the dakini, ability to heal others, inner sight, profound stillness... You may feel energized in every cell of the body, feeling fully alive. As you let go more and more, your laughter and bliss will certainly evolve and you may experience what they call crazy wisdom in Tibet or the cosmic joke. As you may have deduced by now, this is not an austere practice. It is for those who want the direct experience. 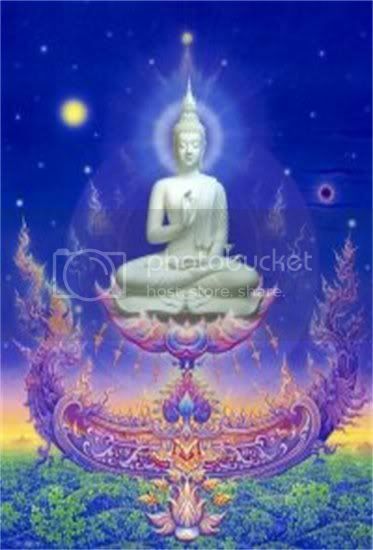 It merges the universe within with the universe outside activating the bliss body or dragon body allowing re-enlightenment for the average person. Kunlun Nei Gung encompasses rare practices and techniques that have been hidden in monasteries and temples throughout history, only to benefit a few people in each generation. The time has come for this knowledge to be shared with those interested in gaining a deeper understanding of their own amazing true nature! This practice: Releases energy/emotional blocks, Unlocks dormant “supernatural” abilities and Awakens an almost unbearable internal bliss. This practice is said to be the fastest known path to enlightenment because it quickly removes that which is not needed, so that one can see who they really are. Iv had a quick read luminari, can't realy do your post justice untill I can sit down and read it proberly, but thank you for bringing this practice to the attention of others. If only one or 2 of you see the value, will be worth it. Fascinating topic. This treasure of re-enlightenment is composed of three basic levels of breathing. The first level opens the body's nervous system, which is comprised of 72,000 nerves or nadis. The result of this opening is the awakening of the golden dragon, or magnetic body. The second level involves breath retention practice that generates and circulates the body's magnetic field, removes impurities and awakens the brain's dormant potentials. The third level composes of the "waterfall" meditation that brings the practitioner back to the physical level of being. This part is for calming and relaxing the body, mind and spirit of a person. The end result of Kunlun Spontaneous Nei Gung system is to awaken the practitioner's magnetic potentials, the "bliss-body", the expression of the dormant potential of the mind, and to understand the one law that governs all matter, energy, and form. Luminari, kunlun, sounds to me very much like the indian kundalini energy system, so i was wondering if you had spotted the similarities? 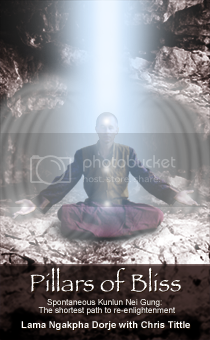 it seems to be a technique to raise kunlun/kundalini energy? I had never heard of this technique . Thank you for bringing it up Luminari. How wonderfull it would be to devote oneself to study these things on a day to day discipline. It is commonly believed that we use only 10 % of the total capacity of our brain. I personnally believe the way education is given nowadays has made of our brain a strong muscle while leaving dormant the field of subtle energies that are available to us. We have been trained in " thinking " but brains are not what we are in our essence . Restoring these ancient disciplines would help to make a quantum leap in the field of " being ". Neigong, also spelled nei kung, neigung, or nae gong, is any of a set of Chinese breathing, meditation and spiritual practice disciplines associated with Daoism and especially the Chinese martial arts. Nei Kung is an internal system of Chi Kung, employing slow, deep breathing and requiring a relaxed physical stance and mental attitude. (The external approach to cultivating chi is characterized by heavy breathing and rapid diaphragmatic exercises.) Nei Kung practice charges up the body's energy. The effects in the initial Workshop are dramatic, and the profound extent of the training often becomes apparent as early as the first two weeks of regular practice. Nei Kung has been refined, and handed down from Master to Master since the time of Yellow Emperor (2696--2598 b.c.e.). It evolved from the Taoists' search for a way to rejuvenate and heal the body, to increase internal strength and energy. There is a saying in China that if you pursue the Ch'uan (fighting technqiue) without practicing (Nei) Kung, when you reach old age you will not have anything to show for your efforts. Great importance is traditionally placed on the study of Nei Kung in conjunction with Tai Chi Chuan. In order to attain a high level of ability in Tai Chi, one must know and practice Nei Kung diligently. I need this book. I can't find it available anywhere. I need some angelic assistance here please. When you go to purchase it on this site it says it is unavailable. Last edited by Luminari; 01-21-2010 at 02:23 PM. Oops thought I found it, but no luck, yet. Still trying. Last edited by Malynda; 09-09-2009 at 01:29 AM. I found what seems to be the only other available book on KUNLUN see here. Went to purchase it and they will not ship to Australia. Good things come to those who wait and are persistant. I will manifest the practical application of this knowledge in my life. I'm putting the call out to the universe. Magnetise these books to me. So let it be done. Amen. Nice synchronisity Malynda, you edited your post as I typed mine, both on the same book. Yeah that was pretty amazing. Have you checked scribd.com to see if they have an ebook to read until one can wander into your life? He was supposed to have been hit by lightning which fused his 3rd eye open permanently. Believe it or not, something amazing is going on here, and I will get to the bottom (or the top!) of it. Certain people have destinys to fullfill on this planet, this guy is here to help. Thanks James Gilliland for the wake up. I did see the trailer, thank you for posting it. It definitely got my attention so now I am reading up on all of this. At first I thought it looked like a spoof video because of the huge energy blasts. haha So I had to read. All very interesting. Thanks, scribd = nada, will keep looking. Here is a lecture on Kunlun given by Lama Thunderbolt. The screen size is tiny but if you have realplayer or quicktime you can download the video to watch properly. that is a very interesting vid Luminari, his words are so true. The power of thoughts and intentions shall not be underestimated. Thoughts are indeed the matrix of the material reality, as we create and experience it. I shall earnestly try to plunge into the 'Bliss'. 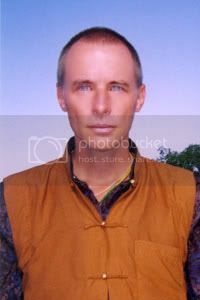 I just had the most wonderful experience the weekend before last (10/17-18) at the ECETI Sanctuary in Torout Lake, WA - I took my first Kunlun classes with two great teachers that were trained by Kan (kunlunbliss.com - who I assume was trained by Max). It was a discipline that you can immediately feel the effects of, quickly clearing blockages, strong feelings I've only vaguely felt with meditaiton and yoga - I do recall them saying that it is different to working with Kundalini, and that you're actually pulling in both celestial and earth energies - it was truly amazing and I certainly believe that it's something that can only be taught in person, by a qualified teacher. There aren't many people that teach it, yet, but I HIGHLY recommend you try it if you can! Best of luck to you all in this endeavor - it may well be one of the best things we can do! Luminari: the link you provided for the vid above is coming up URL not found!! Hello, and thank you so much for reviving this thread with a 1st hand account! Please can you teach me the sitting posture/basic techniques? Why do you believe it is something you can only learn in person with a trained facilitator?